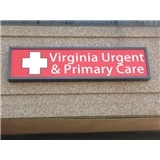 Virginia Urgent and Primary Care LLC. (Springfield) - Book Appointment Online! Virginia Urgent and Primary Care LLC. Dr. Mathur was very professional and helpful.